Happy 2018! The year is off to a great start, and we’ve made a lot of headway since the holidays. During the first week of January, we exhibited at the Consumer Electronics Show (CES) in Las Vegas. CES is an annual gathering of consumer brands, business leaders, pioneering thinkers, tech lovers, and up-and-coming tech companies in the city of lights (and slots). It is one of the world’s largest showcases for new products and technologies in the consumer electronics industry, and we felt it was the perfect place to share and showcase our product. While there, we had our working prototype on display and demonstrated the iBeat Watch’s cardiac arrest detecting technology. We received a ton of great feedback on the design and usability of the product, and were told by many that they’ve “never seen anything currently on the market like it.” Our partner Dr. Oz even stopped by to say hi and demo the watch’s lifesaving capabilities. Currently, we’re in the midst of outside beta testing and expect to continue this testing for the next couple of months. We are targeting a June shipping date for new pre-orders. 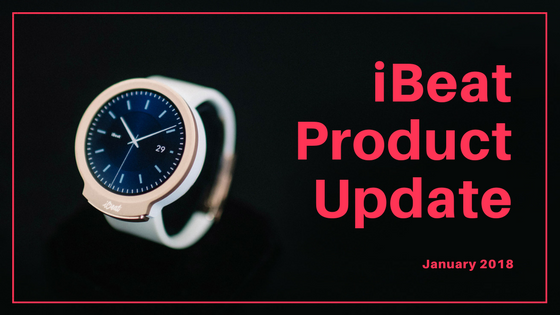 If you have any questions, concerns, or general feedback, please feel free to email us at support@ibeat.com.